It's available for Pre-order today! Book Description: At the edge of the Russian wilderness, winter lasts most of the year and the snowdrifts grow taller than houses. 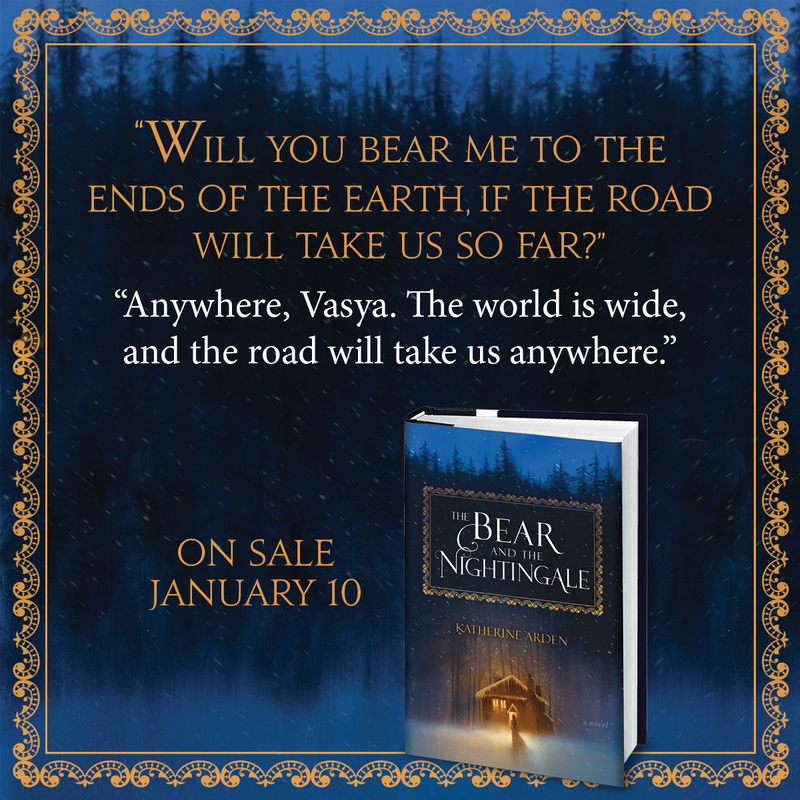 But Vasilisa doesn’t mind—she spends the winter nights huddled around the embers of a fire with her beloved siblings, listening to her nurse’s fairy tales. Above all, she loves the chilling story of Frost, the blue-eyed winter demon, who appears in the frigid night to claim unwary souls. Wise Russians fear him, her nurse says, and honor the spirits of house and yard and forest that protect their homes from evil. 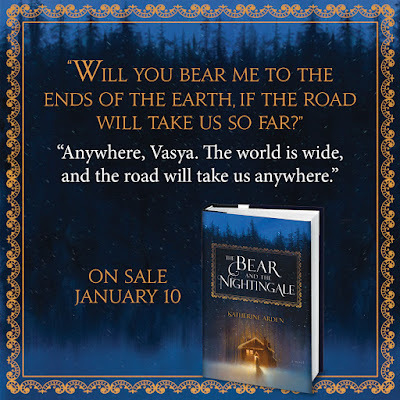 My thoughts: The Bear and the Nightingale is an engaging read set in medieval Russia. 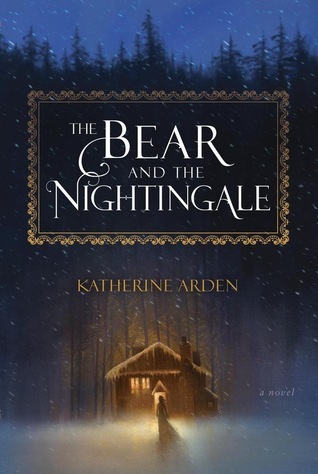 Katherine Arden's writing reminds me of the old style of writing fairy tales. It is dark and enticing. It has an almost poetic feel to it as the lives of the characters and the coinciding fay creatures are described. I was easily draw into the story. Vasilisa is a young girl who has the "second sight". She readily accepts both worlds and is a bridge of sorts between the two. She keeps the fay happy and protects her people from some of their dangerous ways. She belongs to both worlds and is happy with her role in both. Tragedy strikes her people when her father takes a new wife and a new Priest comes to shepherd the flock. Both are devout and have zero tolerance for adherence to the old ways. The fay are diminishing, but they protect the humans from danger from stronger fay. Vasilisa is trying to save her people and keep her fay friends around. As I stated in the first paragraph, the story is dark. It is a fairy tale, but it may be a little too dark for younger readers. There is a little bit of innuendo, but I found it to be clean. The book does contain violence that is non-graphic. It could be unsettling for younger readers. About the Author: (Taken from her webpage) Quick version: Infected with wanderlust and with no notions of vocation, I decided to try my hand at a novel. The same novel which you are currently holding. No? Not holding it? Seriously? Then what are you reading this for? Stop screwing around on the Internet and go read something! Book Description: What if you could paint with reality? 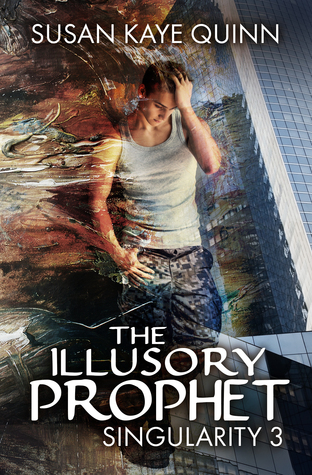 The Illusory Prophet is the third book in the Singularity series. This young adult science fiction series explores the intersection of mind, body, and soul in a post-Singularity world. My thoughts: The question that I pondered through this book was "What is the worth of a soul". This is a sci-fi book and not religious, other than the Ascenders are trying to be God-like. They are trying to live cognitively live forever. But they question whether or not they have a soul? The humans are valuable partly because they do have a soul. It's an interesting situation for ascended beings who plan to live forever. Elijah is a reluctant leader of the fight against the control of the Ascenders. He is a young man who has been tampered with. He was born to be human, but not human at the same time. He is a bridge connecting the two species. He undergoes quite a bit of growth and enlightenment in this book. He begins to understand what he is capable of and how he can help everyone to co-exist. This book is very interesting. There is romance, action, war, and knowledge gained in this book. To fully understand this book, you must read the first two before this one. This series can not be read out of order. Each book builds on the other and there isn't a lot of back story explained. This is a dystopian type of book that is about humans rising up to gain freedom from their oppressors. I would recommend this book to readers who are mature enough to grasp the complex concepts and handle war situations. The main characters are teenagers, so it would appeal to a YA reader. 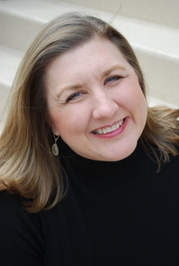 About the Author: (Taken from Goodreads) Susan Kaye Quinn is a rocket scientist turned speculative fiction author who now uses her PhD to invent cool stuff in books. 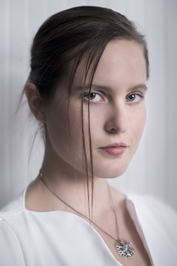 Her works range from young adult science fiction to adult future-noir, with side trips into steampunk and middle grade fantasy. Her bestselling novels and short stories have been optioned for Virtual Reality, translated into German, and featured in several anthologies. 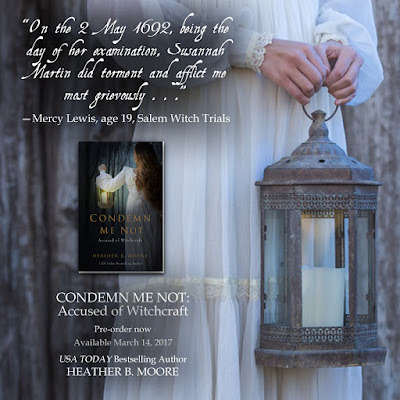 I can't imagine what it was like for the people accused of witchcraft during the Salem Witch Trials. This quote resonates with me. I am sure that a cell would be better than the jeers and condemning looks that they endured. I can't wait to read this book! My Thoughts: When I received a request to view this film for review, I was very hesitant. I am not good with tragedies. I knew how this one was going to end. I took my time responding to the request and missed the tour. The wonderful publicist (Thanks Michelle) sent me a copy to review even though I missed the tour. The DVD begins with the birth of a baby boy and then takes the viewer to meeting John, his wife, his daughter, and his brother, Josh. 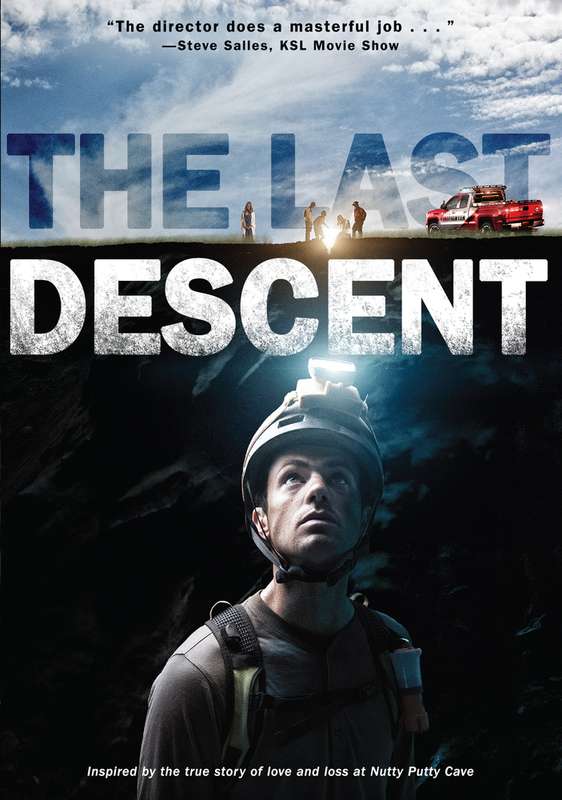 The movie starts out with the brothers going to Nutty Putty Cave to explore. I honestly paced around as he went off on his own. It took a bit for me to settle myself down to listen as John tells of his life and his family. While the subject matter is hard, the film was done well. While the movie is full of heartbreak, there is peace and hope. I enjoyed watching how Search and Rescue keeps hope up in terrible situations. The fact is that this tragedy affected many wonderful people. I also enjoyed the flashbacks as he talked about meeting his wife and other key life events. When all seems lost, there is hope. That is the message of the movie. There is peace and hope. My thoughts: This book is easy to get lost into. I fell in love with the characters and the plot was intriguing! My thoughts: I have enjoyed my time with Pearl, a Chinese matchmaker who has a gift for bringing couples together. I am sad to see this series come to an end, but the books will still be there for me to re-read when I need a matchmaker fix. This story focuses on Mary. She is the daughter of a prominent Doctor. She is sheltered an not allowed to do things that interest or enlighten her. Her father is against the English Reformation. He is very old fashioned, particularly where his daughter is concerned. They have a new neighbor move in who is writes about the Reformation. Mary's father feels that he is a threat and takes measures to keep his daughter away from the upstart. Of course, this only fuels her attraction and attempts to catch Samuel Brown's notice. She begins to read the forbidden London Times, the paper that Mr. Brown writes for, and is drawn by his words. Her horizons expand and she joins the movement with cartoon drawings. In this rendition, Pear is know as Mrs. Chin. She is a neighbor to both Samuel and Mary. She is able to finagle interactions between Samuel, Mary, and Samuel's friend, Niall. The trio are unlikely cohorts, but work well together. Samuel and Niall open the doors to independence for Mary and she thrives. So much so, that she becomes a problem to her father's ideals of womanhood. This story has some twists that I don't want to get into, because they would be spoilers. I will say that I was very happy for the way everything turned out. It was just as I wanted it to be! I enjoyed the friendships, banter, uncomfortable situations, and devotion that I found in this book. Jaima Fixsen writes with a great voice. I loved the way she described the characters and the way that they were developed. This is a great addition to a wonderful series. I highly recommend every book. This book contains a funny way that Mary learns of male/female relations. It contains innuendo. About the Author: (Taken from Goodreads) Jaima Fixsen lives in Alberta, Canada with her handsome husband and clever children. Mostly, she just tries to keep up. 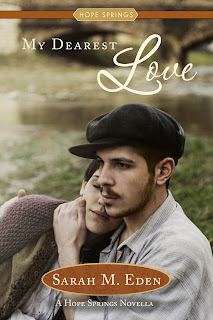 Cover Reveal for Sarah Eden's "My Dearest Love"
I LOVE the books in Sarah Eden's Hope Springs Series. I am anxiously looking forward to reading this novella. :) It will be out in July! Alone in the world and far from home, Biddy holds out little hope of lasting happiness. Ian, loving her silently from afar, dreams of one day capturing her heart. The images for this book are hauntingly beautiful. I can't wait to read it. March 14th will soon be here. You can pre-order a copy of the book today. 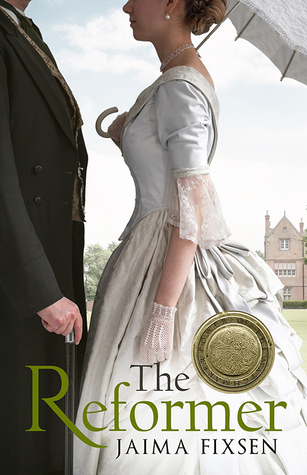 Book Description: Proper English governess Eleanor Morgan flees to the colonies to escape the wrath of a an angry duke. When the Charles Town family she’s to work for never arrives to collect her from the dock, she is forced to settle for the only reputable choice remaining to her—marriage to a man she’s never met. 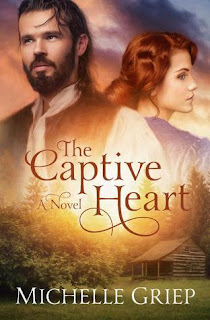 Trapper and tracker Samuel Heath is a hardened survivor used to getting his own way by brain or by brawn, and he’s determined to find a mother for his young daughter. But finding a wife proves to be impossible. No upstanding woman wants to marry a murderer. 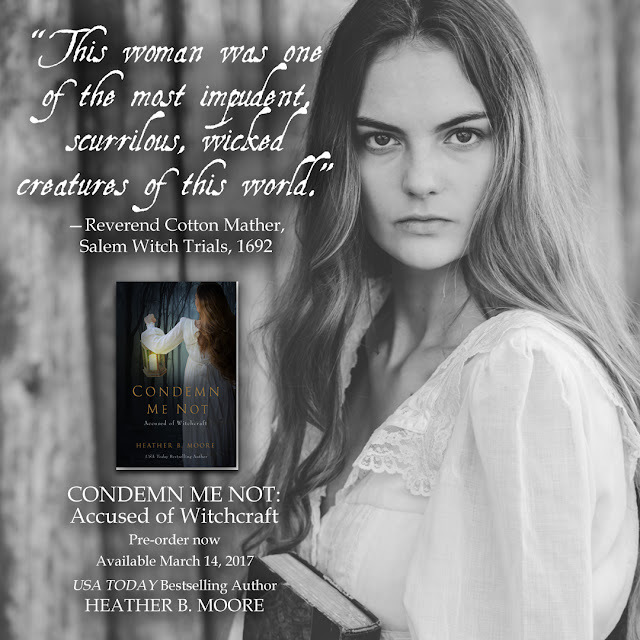 My thoughts: Oh my goodness, I loved this book! This was a book that was nearly impossible for me to put down, particularly the last half. I could not read fast enough and then I was disappointed when it ended. I could have been lost in Samuel and Elinor's world for a few more days, easily. 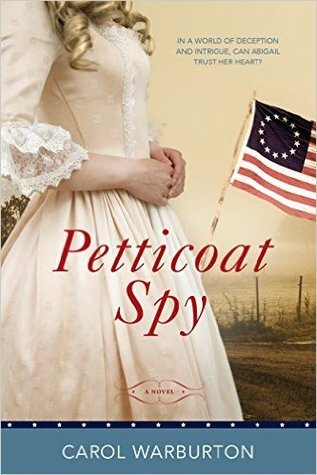 The book is set in the America Frontier before the revolution. Michelle Griep looks at some uncomfortable social issues of the time period; the indentured servant and the white man's encroachment on Native American Lands. The book is told from the character's point of view living during the time period, living through the trials. I loved how she described the life, without passing judgement. The reader is able to make their own connections and judgement. Griep did an amazing job at describing events, people, and places. The romance is not rushed. Samuel and Elinor grow in regard and feelings for each other as they learn of each other. They respect each other before there is romance of any kind. 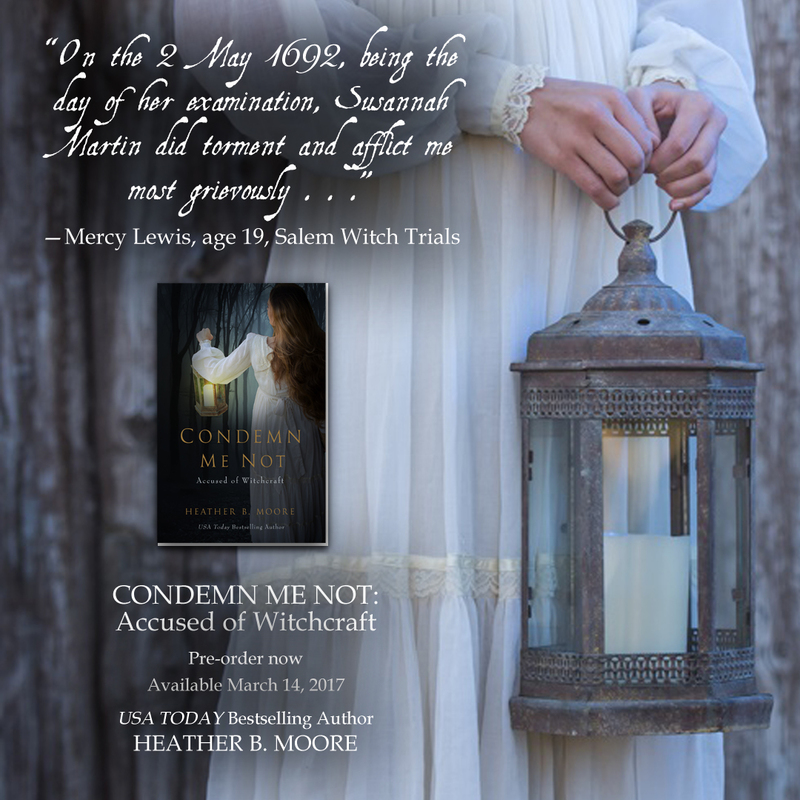 This is a clean historical romance. The book does contain violence and a little bit of kissing. She has other books written, I must get some of them! About the Author: (Taken from Goodreads) I hear voices. Loud. Incessant. And very real. Which basically gives me two options: choke back massive amounts of Prozac or write fiction. I chose the latter. Way cheaper. I've been writing since I discovered blank wall space and Crayolas. I seek to glorify God in all that I write...except for that graffiti phase I went through as a teenager. Oops. Did I say that out loud? Book Description: Water splashed on all sides then took control of the tires. The car swerved right toward the river. My thoughts: When Aspen and her sister are caught in a flash flood, they rescue their two friends and discover that it was not " adrenaline" that helped them all stay alive. Their parents have kept secrets from them about their heritage. They belong to a group descended from fairies, but many of the powers were lost. They are there to protect mankind. This revelation leads to a lot of action and danger. Trouble has been brewing in their homeland and the family must band together to stop the evil Queen. I enjoyed the fantasy aspect of this book. This is a different kind of fairy than I usually read. The setting is new and unique and the characters enjoyable. The plot felt solid to me and had a great pace. It seemed as if everyone accepted the changes a little too easy. 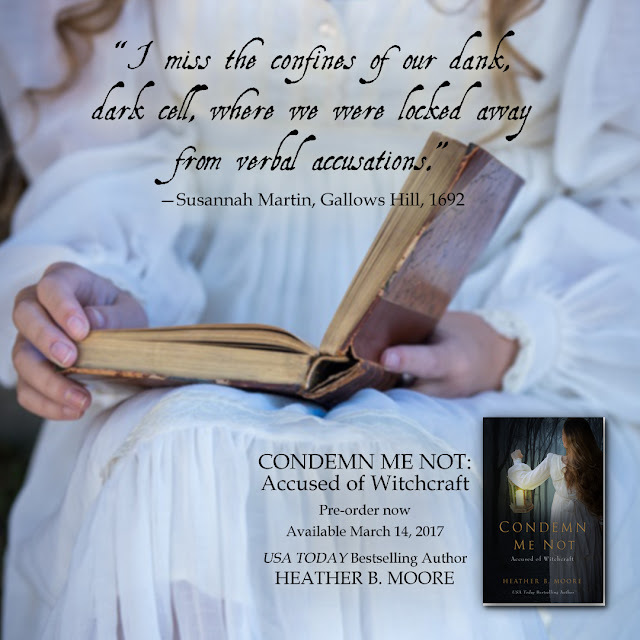 Some of the plot points were glossed over, but I am not sure how Kathryn Cooper could have changed that. This book is written for the YA market and is perfect for it's readership. I think this is a solid debut and I look forward to reading more from this author. I think that this book may have more to follow, there are several places she can take it and it may delve into the fairy realm. 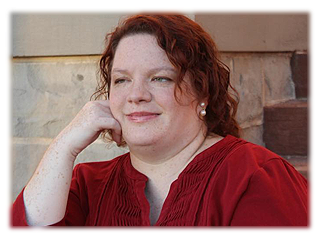 About the Author: Kathryn Cooper lives in the heart of Texas with her husband and four young boys. She has read and blogged about other authors’ books for years. She is excited to finally have her own book out for readers. 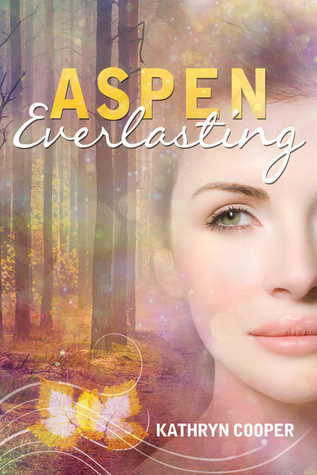 “Aspen Everlasting” is her first novel.